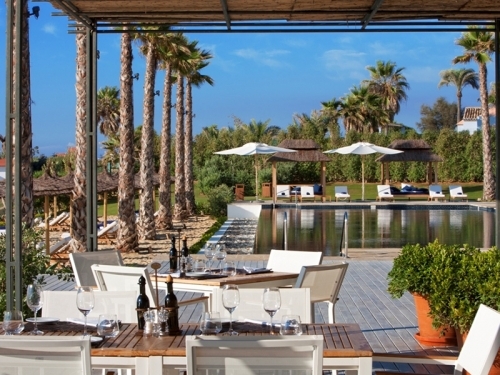 Finca Cortesin features an exclusive 6,000 sqm Beach Club, located just 0.9 miles from the hotel. It boasts teak wooden flooring, delightful gardens and Balinese beds and sun loungers which surround the Beach club’s pièce-de-resistance; a breath-taking 35m infinity pool. Its acclaimed restaurant fronts directly onto the beach, offering the very best in Mediterranean cuisine, including mouth-watering seafood and rice dishes… all served in a way that can only be found at Finca Cortesin. And as the sun goes down, sit back, relax and sip on a delicious cocktail prepared by one of our expert barmen. Courtesy shuttle bus available for our hotel guests.